The world of diamonds has gone through some amazing changes. Stare at a glittering diamond and you might be surprised to learn that, the stone owes much of that beauty to the genius of humans. A piece of rough diamond as it is dug up from mother earth is us a piece of stone, no fire and no glitter. Humans discovered that cutting this stone to specific proportions and maintaining intricately angled facets can, bring out that amazing fire for which the diamond is so well known. We moved from a time when, almost any transparent piece of rock could be a diamond or a piece of ordinary quartz. Those were the days when the naked eye was the only ‘tool’ used to identify diamonds and other precious gems. Centuries later, we live in world where experts can precisely identify a diamond, no guess work and no confusion. Scientists have been able to study not just the form of the stone but also, its internal structure and chemical composition. And of course we all now know that, the system used to grade diamonds is extremely precisely and universally accepted. The 4C’s in the diamond mantra (carat, cut, color and clarity) have been standardized to an extent that, the process appears more like a rocket science. So with all these wonderful changes, one might believe that all is fine and fit in the diamond kingdom but, reality speaks otherwise. The process used to trade diamonds has remained stagnant, the supply chain is loaded with unnecessary middlemen, mistrust and secrecy have grown larger. Actual diamond sellers and final consumers are never connected, laborious paperwork is involved to keep records and transfer ownership and more. 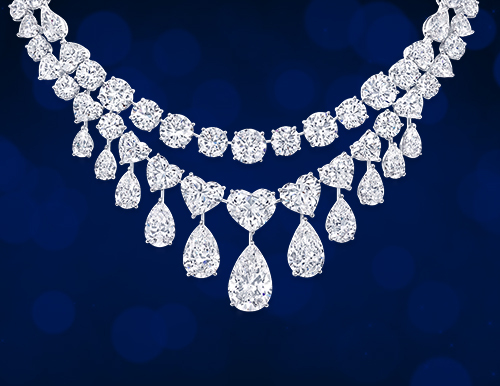 Payment for a diamond purchase passes through a bunch of banking and finance operations, buyers are forced to pay significant amounts in the name of ‘currency conversion’. A casual glance at the above two paragraphs highlights the desperate need for change. And this change needs to provide benefits to the buyer and seller. Trying to bring about any degree of change without the use of technology, will only increase overheads and further exaggerate the existing problems. The diamond industry has never been a big fan of technology and technical experts, know little about diamonds. And yet there is hope as, GLITZKOIN launches its ambitious plans to build a high-tech online diamond trading platform. This will be implemented on a state-of-the-art blockchain and be well supported with a crypto currency. A dream team of technical gurus and diamond industry veterans has been et up to develop and implement this massive project plan. Without boring you with technical jargon, let’s just briefly summarize the benefits that this diamond blockchain will bring to the industry. Sellers both big and small, will be able to list their certified diamonds on the blockchain. Buyers whether, professionals or first time diamond enthusiasts will able to work directly with a seller. No need for middlemen and no need to pay inflated prices. A long due revolution for diamond trade and a win-win scenario for both buyers and sellers – this is the critical mission that GLITZKOIN has chosen for itself.